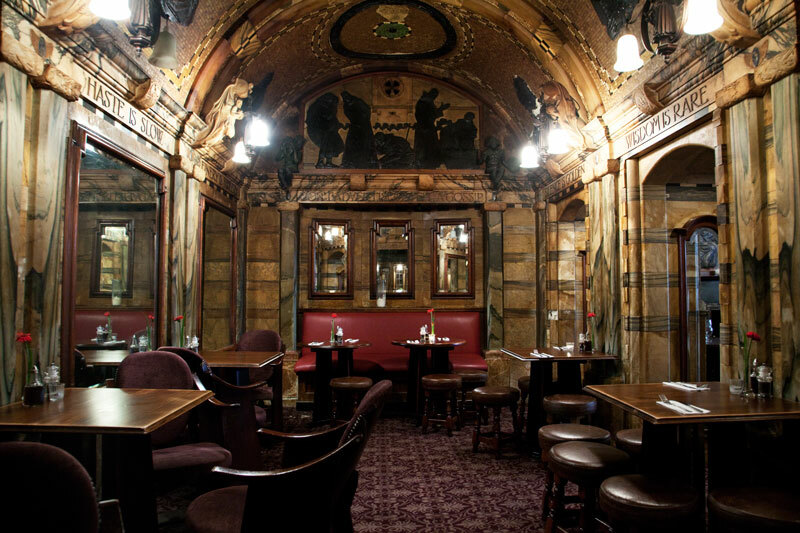 The narrow wedge shaped ornate art nouveau, Black Friars Pub is found in the area of the same name. Just across from the newly refurbished Black Friars Station. Built around 1875 it overflows with the work by sculptors Nathaniel Hitch, Frederick T. Callcott and Henry Poole. The exterior is equally elaborate. In the 1960's Sir John Betjeman led a campaign to save the building from demolition. Not bad for a pint, pie and picture. What a great old pub, nice to see there are still a few left. A cathedral to pie and ale . . . This is gorgeous. I've added it to my list of places to visit in the future. Jabblog's comment is perfect: "A cathedral to pie and ale." Let's pretend that I wrote that. What a great looking place Mo. I adore this kind of interriors! Good thing they saved it! Wow. Looks more like a church than a pub. Fantastic inside shot. I wish I had gone in now! I'm with Sharon - it has now on my list of places I really want to visit. It's really a wonderful and cosy pub. My favourite! "where do the white friars drink?"